Unit backs up to Palmer Park, with direct access to the walking trails. Back patio has half height stucco wall with gate access. 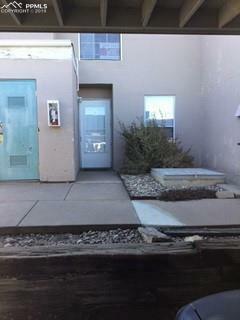 Unit is conveniently located at the very West side of the complex. Easy assess to it from Parkmoor Village Dr. HOA fees include payment for Water, Sewer, Gas, Electric, Trash. Kitchen recently refurbished. New Oak Cabinetry and counter tops. Wood burning fireplace. New carpet, freshly painted! Some new light fixtures as well.